COLONSAY: A Hoopoe was at Seaview – Lower Kilchattan on Thurs 11th Oct – first confirmed record for Colonsay (Carol & David Paterson per David Jardine). 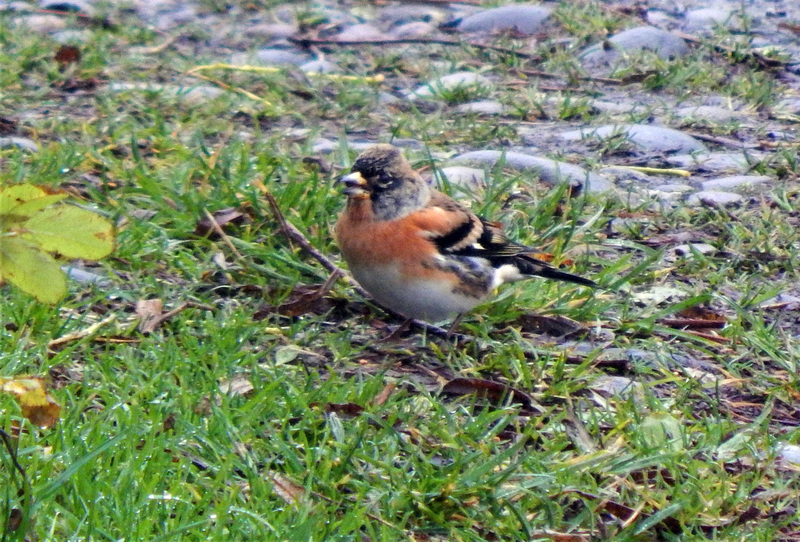 TIREE: 2 Brambling at Balinoe, 1 Brambling, 1 Grey Wagtail, 1 Siskin, 3 Goldcrest, 70 Redwing and 1 Fieldfare at Balephuil. Also 100+ Whoopers over south 0830-1000 in groups of up to 24 and 280 Barnies over SW (John Bowler). 50 Greenland White-fronts and 5 Barnies over Vaul early on (Jim Dickson). BRAMBLING – Balephuil, Tiree 13th Oct (John Bowler).